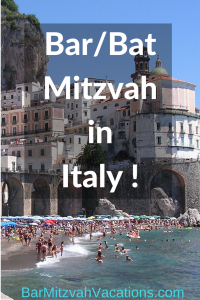 What is a Destination Bar/Bat Mitzvah? As its name suggests, a Destination Bar Mitzvah is an alternative to the standard Bar/Bat Mitzvah coming-of-age celebrations hosted by Jewish families throughout North America and Europe. In recent years this sacred tradition has morphed into what can become an elaborate social affair that strains both wallets and nerves. Not only does the spiritual aspect diminish in importance, but the significance of the child’s milestone can get lost among the myriad details of party planning. Intimate Bar/Bat Mitzvah services such as candlelighting, as well as the main Bar/Bat Mitzvah rituals. 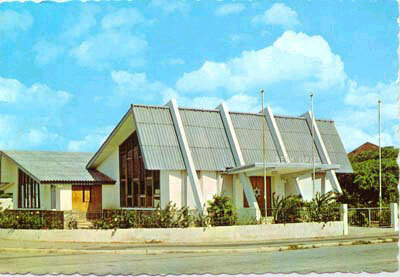 These can be conducted in one of the historic synagogues in the Caribbean or Costa Rica. Alternatively, we can arrange for a cantor to conduct the ceremony onboard your cruise ship during a Caribbean or Mediterranean cruise vacation. Other wonderful options are available, such as our popular Rainforest program in Costa Rica. 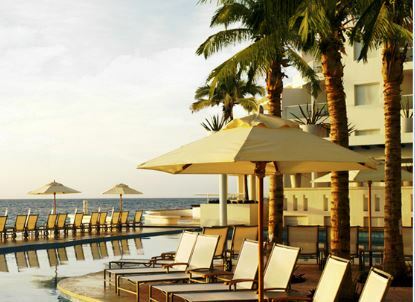 Cruise or land-based vacation planning. If you choose to celebrate the actual Bar/Bat Mitzvah ceremonies in your home synagogue, you can then enjoy an exciting family adventure in lieu of a stressful, pricey extravaganza that’s over in a day. Mitzvah Projects. Through Bar Mitzvah Vacations’ Community Service Program, your child can complete a mitzvah project to benefit a local island school or non-profit organization. Experience the full beauty of the Bar/Bat Mitzvah ceremonies with your family, then spend an idyllic week or more relaxing with family and friends, enjoying life in a new place as ‘slightly more than’ a tourist. Vacation options range from simple beach accommodation, to a luxury staffed island villa, to a fun-filled cruise adventureeveryone will enjoy. 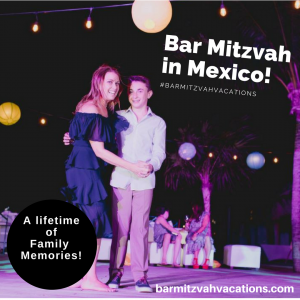 Bar Mitzvah Vacations handles all the details of your Destination Bar Mitzvah celebration, including travel arrangements, cruise details, hotel or beach villa, rental vehicles, activities and much more. Wondering if a Destination Bar/Bat Mitzvah would work for you? Read more about it or Contact Ellen now to learn more.